A few weeks back I blogged about how the K4 has a hidden debug menu. That menu wasn't all that useful at the time, but now it is, because enabling the debug menu is now the first step in installing your own screensavers on the K4. Yesterday I got an email from the hacker who first found the debug menu. He's posted a new video which shows how to root the K4 and install your own screen savers. I've watched the video, but do to the complexity of the instructions (and the confusing way that they are presented) I have not followed through on the hack. The first thing you'll need to do is to get into the K4 Debug mode that I showed you over here. After you've done that, you can watch the following video for the rest of the steps. I'd recommend that you turn off the sound first; I found the background music distracting. Note that you do this at your own risk. I don't think it's an easy hack, and I won't really have time to follow up on it until after CES. You can probably find help over at MobileRead. BTW, if you need some suggestions for screen shots, here are a couple collections. One is from Flickr, and the other was posted on DeviantArt. 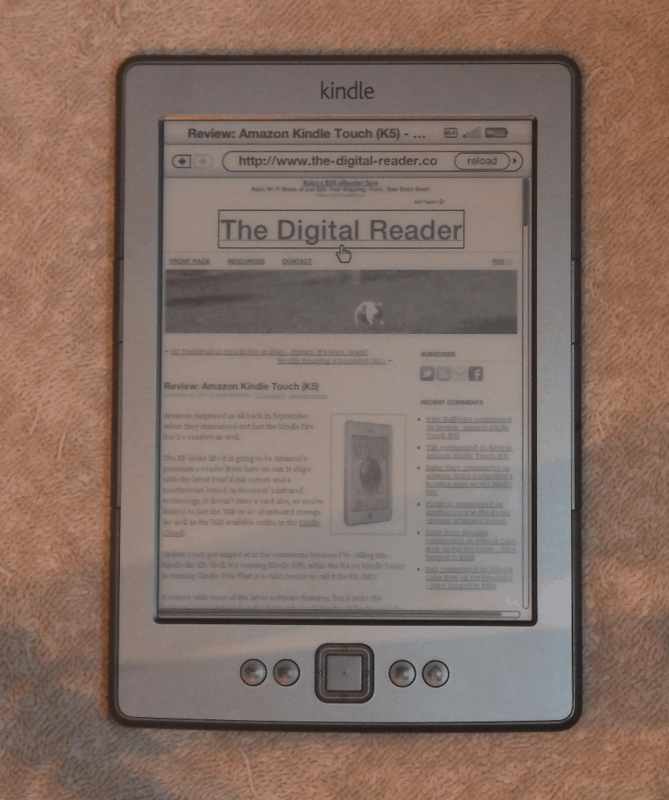 New Firmware Update Available for the Kyobo eReader – Is it Hackable? This hack only works on the K4, but there are others that will work on the other Kindles. Check MobileRead.